The transfer window in England has been closed for weeks and won’t be opening again until January, however that doesn’t stop the rumours from circulating and clubs from making moves with a view to securing targets in the New Year. One club, and one Manager, in particular are keen to address a weakness that has been well documented over the summer. The club and Manager in question? Manchester United and their beleaguered leader, Jose Mourinho. 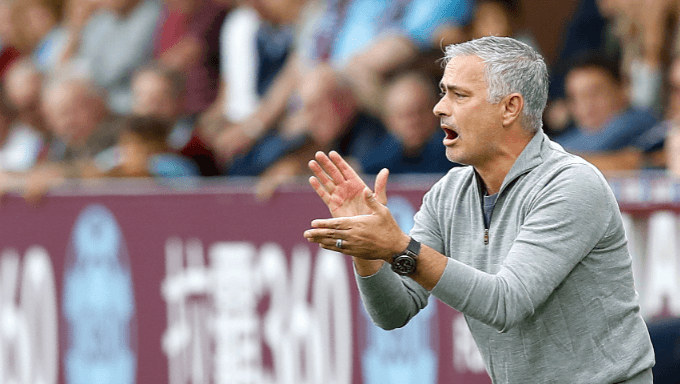 Mourinho has been his usual outspoken self since their Premier League campaign got under way in disappointing fashion, with the Old Trafford club suffering two defeats out of their opening four matches. And he has made no secret of his frustrations with Ed Woodward and the rest of the clubs recruitment team for not securing his chosen targets and strengthening the team enough - particularly in the centre of defence. So it will come as little surprise that plans are already being drawn up to rectify this as soon as the window reopens, with two familiar names being top of the list as targets - Harry Maguire and Toby Alderweireld. IndyKaila sources can reveal that they may have to sell in order to buy, a situation not normally associated with the juggernaut that is Manchester United and one that will potentially frustrate both Manager and supporters alike. Coming off the back of an impressive World Cup for England, Maguire’s stock has risen significantly over the last 18 months and many have been lauding Leicester for their foresight in buying him from Hull City for a reported fee of £17m (a bargain in today's market) in June 2017. So much so that he was heavily linked with a move to Man Utd throughout the 2018 summer window, with it being suggested that a move for him could eclipse the current world record transfer fee of £75m that Liverpool paid for Virgil van Dijk. Indeed our Manchester sources were all over this story and we reported on it a number of times. However, the move did not materialise (much to Mourinho’s frustration) and Maguire stayed put. With Alderweireld, we were advised that he was growing increasingly unsettled at Tottenham due to a lack of playing time following his return from injury and at 29 years of age was open to a move that would not only guarantee him more playing time and a big pay day, but also the prospect of joining an a club of arguably greater stature. Going into the last year of his contract, our sources had it on good authority that Utd were strongly considering testing Spurs’ resolve by taking advantage of the situation and making an offer. But again, despite the wishes of Mourinho, it did not happen. Who Will United Sell to Fund January Deals? It is our understanding that while the Manchester club are confident that they can compete financially with the world’s biggest and best, the club’s hierarchy remain unconvinced about the ability of Mourinho to get the best out of his buys for the club to date (including Paul Pogba and Henrikh Mkhitaryan but more relatively Eric Bailly and Victor Lindelof). Therefore we believe that before sanctioning a move for either Maguire or Alderweireld, the Utd board are willing to consider selling Bailly and using the proceeds of his sale to fund a move for one of these targets. Selling Bailly would prove to be a controversial move in many respects given that out of the centre back options currently at the club, he is regarded by a large portion of Utd fans as the best of the bunch. Could Injuries Jeopardise a Deal? However his injury record is a concern for club officials having missed a large portion of games last season and so should he struggle to stay fit between now and January, IndyKaila sources understand that the club will be receptive to interest in him and allow Mourinho (should he still be the Manager) to bring in a replacement. While Jose is someone who likes to publicly maintain control and project that he is as much (if not more) of a star than the players, he has also been very vocal about the fact that recruitment is down to Ed Woodward as opposed to him. So whilst he would likely be upset by this scenario as his preference would be to build on what he has as opposed to a one in one out type scenario, his determination to secure either Maguire’s or Alderweireld’s signature may well force his hand.